Rajasthan, "Land of Kings", the largest of India"s States by area is a riot of colors and home to magnificent forts and palaces rising from the desert sands built around legends and myths centered around the Rajput tenet of ‘death before dishonor’. It is often said that there is more history in Rajasthan than the rest of India put together. Then there are the festivals of Rajasthan, numerous, boisterous and colorful that bring the desert to life every so often. Of particular interest are Jaipur"s Elephant Fair in March after Holi, the “Festival of Colors”, and Pushkar"s famous Camel Fair in October/November each year. This weeklong tour of Rajasthan is the definitive tour of this state and offers glimpses into the history and culture of state and into the lives of the war-like Rajputs who legend has it descended variously from the sun, the moon and fire. Fiercely proud and independent their history of the last 1000 years is redolent with wars where they fought off all manner of invaders and in periods of peace fought among themselves, somehow finding time to build the magnificent forts and palaces that are their legacy to the world today. Day 01 Arrive in Delhi, transfer to your hotel, check-in. Depending on the arrival time of your flight you may begin sightseeing in the afternoon after lunch. Dinner at overnight at hotel. Day 03 After breakfast visit the Taj Mahal and the Agra Fort, coming back to your hotel for lunch and the drive to Jaipur via Fatehpur Sikri which should take about 5 hours. Arrive in Jaipur, check-in to your hotel. Dinner and overnight at hotel. Day 05 Drive to Jodhpur after breakfast which should take approximately 6 hours with lunch en route. 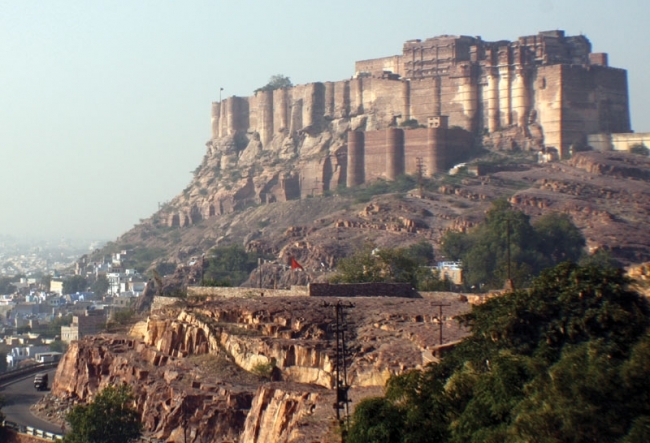 Check in to your hotel upon arrival and sightseeing of Mehrangarh Fort and its impressive museum. Dinner and overnight at hotel. Day 07 After breakfast, visit the Lake Palace which is actually a series of palace clusters making up one whole and impressive unit. After lunch visit the Sahelion-ki-bari gardens and the Folk Art Museum. Dinner and overnight at the hotel. Day 08 Transfer to the airport at an appointed time and fly to Delhi and connect to your onward connecting flight and depart India.